from now, but it won’t be nearly as successful. There are only so many times you can write that story. It’s been a crazy and often fascinating ride, but Palin really has little more to offer as a politician or cultural figure. What’s she going to do next — say something ignorant? Complain about liberals? Provide some unseemly family drama? We’ve seen it all before, and it gets less interesting every time. Unless she goes on trial for murder, most Americans just aren’t going to care. Since Paul was agreeing with something I said yesterday, obviously I agree with him as well. 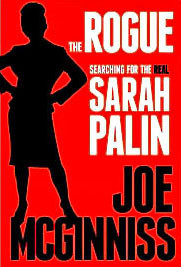 But with a caveat: Joe McGinniss’s book about Palin, The Rogue, comes out in September. Maybe it’ll be great, maybe it’ll be crap. Who knows? But it’s possible it will be good enough to rekindle a momentary, if unflattering, last hurrah for Palin. The fat lady might not have quite sung her last note yet.